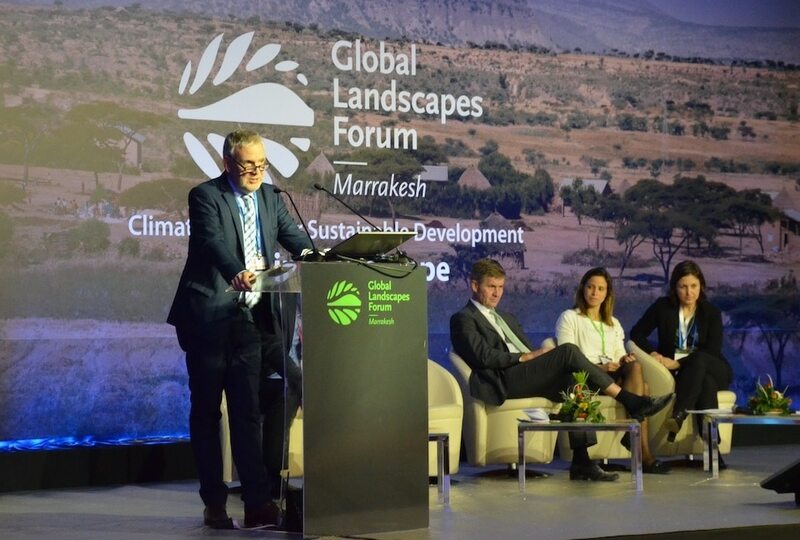 The Global Landscapes Forum (GLF) was launched in Warsaw 2013 by CIFOR, the World Bank and UNEP to provide a science-led, multi-sector and independent platform to share knowledge and develop initiatives to build more resilient, diverse, equitable and productive landscapes. 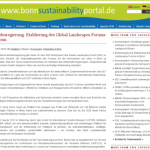 The task for Big Bang & Whisper was to support the GLF 2016 at the UN Climate Change Conference in Marrakesh (Morocco) with public relations and governmental relations services to communicate the partnership between the GLF and the German Environment Ministry and the German Ministry for Economic Cooperation and Development and their funding to bring the GLF to Bonn (Germany). No time for big strategies. Big Bang & Whisper was involved shortly before the event took place and therefore had to quickly engage with the client, relevant partners and key media. 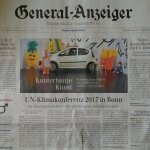 Thanks to a strong co-operation with the German Environment Ministry it was possible to invite German media joining the GLF in Marrakesh for the Ministry’s announcement of the future co-operation and funding. Media relations targeted correspondents available on-site at COP22 in Marrakesh as well as editors focusing on environmental and sustainability topics based in Germany. 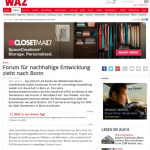 Providing good media materials with an online newsroom and distribution with a newswire agency made it possible to communicate the key message to all relevant media. 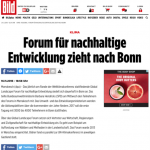 German media was very interested in learning more about the Global Landscapes Forum and reported broadly about its partnership with the German government and its move to Bonn in 2017. 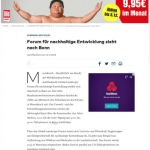 The GLF was mentioned in more than 250 print and online media as well as in radio programmes throughout Germany, from large national newspapers to small regional weeklies. 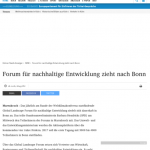 The mayor of Bonn welcomed the move of GLF to the city, a center for humanitarian organizations in Germany.